Well done William for your impeccable demeanour during a visit that had ample opportunity to have generated some negative headlines. You obviously did your homework and it showed in your interest in, and respect towards, each engagement. Hope you have a relaxing weekend enjoying the sunshine with your family. Great tour, great behaviour and great image fot the British Monarchy. Yes William was doing his homeworks, and judging by the images above, he did it conscientiously. He should be so proud of himself! He has conducted himself, on this trip, with the absolute proper deportment of a future king, with integrity and empathy. A wonderful representative of Her Majesty, His Royal Highness The Prince of Wales, and the good people of Great Britain and the Commonwealth. In future, he will be a wonderful king! Cool, that William has visited this location. Many political leaders, which are self declared christians, do not. But what a bustle! So many folks around him! This is quite dangerous! I think, William has done an excellent job in this delicate place, the Holy Land, with all its potential traps and slippery slopes. Was he in Bethlehem too? Thank you for posting this. It is so moving. Prince William must be so proud of his great grandmother. She did not have an easy life herself but did a great good. Landmark moments in royal careers are defined by history, and we may well look back at the Duke of Cambridge's official visit to Israel and the West Bank as one such moment. It wasn't just that it was a first for a British royal or that the political and religious sensitivities of the region are so acute. It was the way that he handled himself there, and how that will inform the way he carries his royal role forward. Thank you so much Rudolph for the link to that article. What a really outstanding article it was too, just so nice to see how much William being there meant to *everyone*, not just a few. The Duke of Cambridge today carried out the following engagements in Israel and the Occupied Palestinian Territories. His Royal Highness this morning visited the Viewing Point at the Mount of Olives, Jerusalem. The Duke of Cambridge afterwards visited the Church of St. Mary Magdalene near the Garden of Gethsemane, Jerusalem. His Royal Highness later visited Haram al-Sharif, Old City of Jerusalem, Jerusalem. The Duke of Cambridge subsequently visited the Western Wall, Old City of Jerusalem. His Royal Highness afterwards visited the Muristan, Muristan Street, next to the Lutheran Church of the Redeemer, Old City of Jerusalem. The Duke of Cambridge this afternoon visited the Church of the Holy Sepulchre, St. Helena Road, Christian Quarter, Old City of Jerusalem. 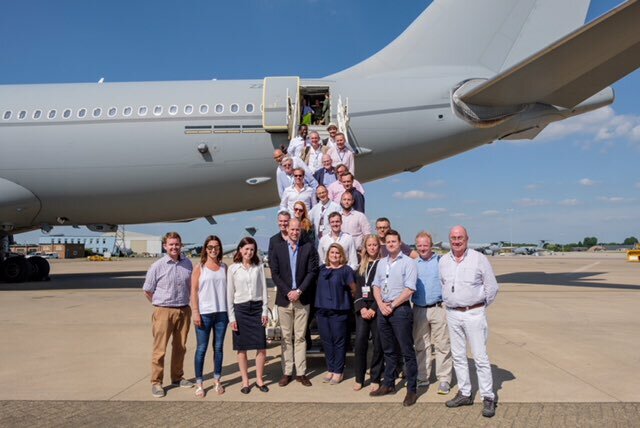 His Royal Highness this evening arrived at Royal Air Force Brize Norton from Israel. Sir David Manning, Mr. Miguel Head and Mr. Jason Knauf were in attendance. Prince William’s historic Middle East tour – the best bits! Shamelessly setting aside the political and historical elements of this trip, William is taking tips from his father it seems, with the light coloured suits in warmer climates! He looks great. Say what you like about his hair, he's still attractive IMO and keeps himself in great nick physically. William's tour has been fantastic all round. I particularly love the photos of him watching the World Cup with CP Hussein (the fact that they're two heirs on a tour aside, they look like two regular friends watching the match together) and the reports of him meeting the descendants of the Cohen family whom Princess Alice hid during the Holocaust, that was a really lovely and thoughtful personal touch. I also liked this trip because it reminded me of my own trip to Israel and the OPT back in October (my grandfather was in Israel as part of his conscripted service just after WWII and I went to retrace his steps as I visited most of the places he photographed) - if anyone has an opportunity to visit, you should definitely do so. What? This belongs in the fashion thread. The Daily Mirror’s royal podcast. Lots of praise for Prince William’s Middle East visit from the Mirror’s royal reporter Russell Myers.